Maude Carluer, Jean-Charles Schiavon and Julia Butin. 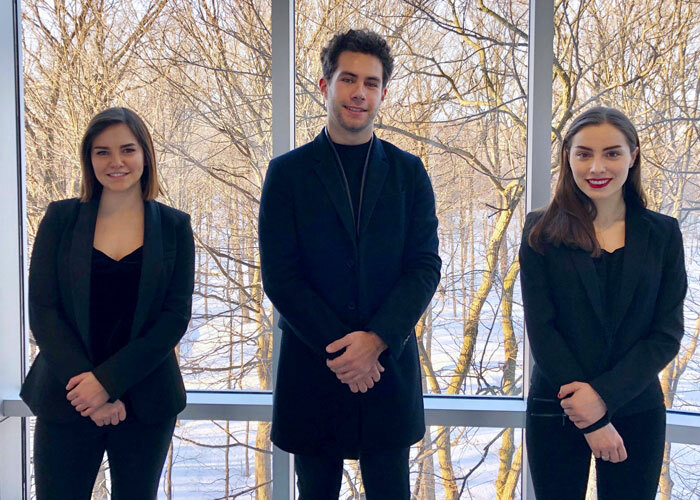 The HEC Montréal team took 3rd place in the Canadian finals of the L’Oréal Brandstorm brand management simulation. The team members were final-year BBA students Julia Butin and Maude Carluer and Master of Science (MSc) student and BBA graduate Jean-Charles Schiavon. This year, students from around the globe were invited to imagine the future of skincare. For four months, they played the role of a marketing manager and worked with L’Oréal executives. The School’s delegation attracted the jury’s attention with their Skinnovation innovation. The HEC Montréal team was coached by guest Professor René Gendreau and supported by Jean-François St-Pierre, Director – Relations with the Student Community, Student Services.